Butan Wear is a street wear label, deeply entrenched in the urban lifestyle and vibrant underground culture of South Africa’s streets. Key to the brand’s identity is the inventive approach to fashion, which produces highly concept driven designs that epitomize our cosmopolitan roots. Butan is more than just a clothing label, it’s an integral part of street culture. It strives to spread relevant messages and open avenues for alternative perception of our world through innovative design. The brand represents the rich tapestry of the African continent, paying tribute to its influence on contemporary African youth. The Verb x Butan x Kronk series is a collaboration between Verb Skateboards, Butan Wear SA and Kronk. 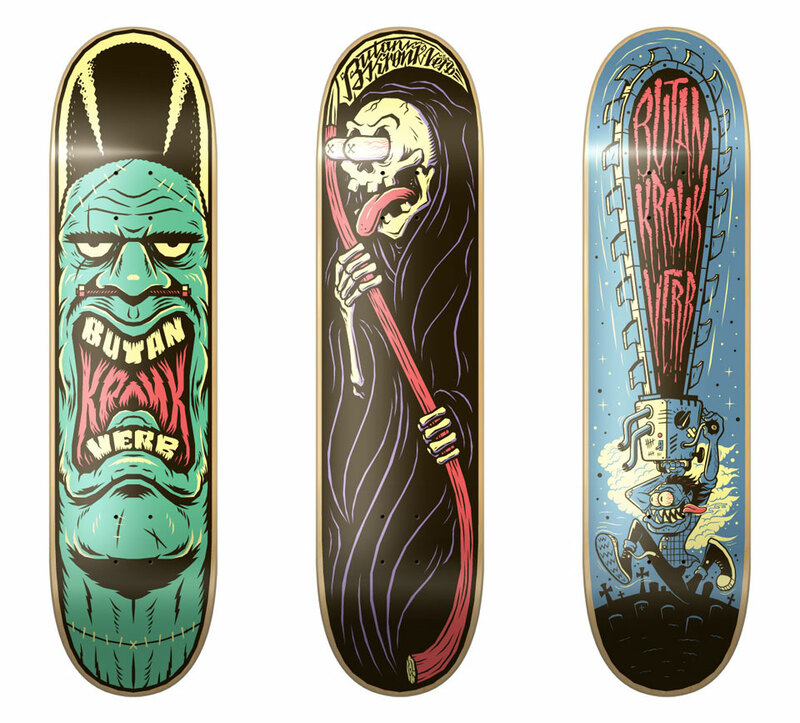 It features a series of limited edition Verb decks designed by Kronk.